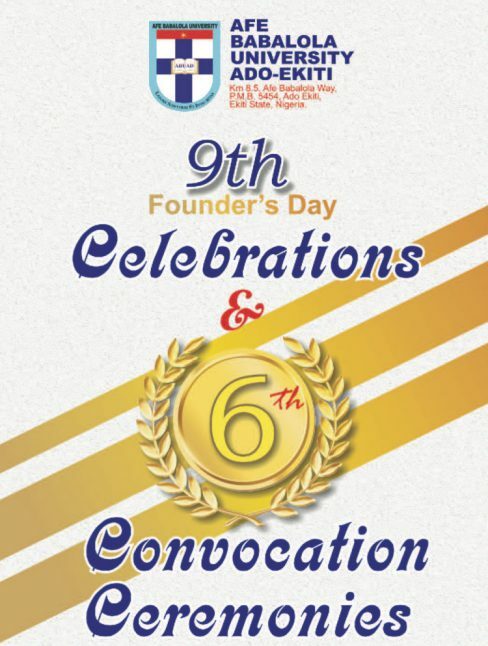 Afe Babalola University, Ado-Ekiti [ABUAD] 6th Convocation Ceremonies and 9th Founders Day Programme of Events for 2018. 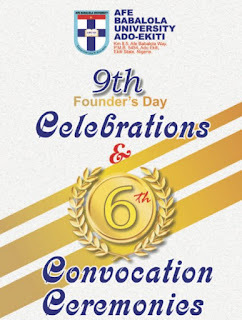 This is to inform all Parents, Guardians, Staff, Students and the General Public that the 9th Founder’s Day Celebration and 6th Convocation Ceremonies of Afe Babalola University, Ado-Ekiti (ABUAD) has been scheduled to commence on Sunday, 14th October and ends on Sunday, 21st October, 2018.
i. CPN Induction/Oath-taking Ceremony of the ABUAD Computer Science graduates. i. The Nigerian Institute of Chartered Arbitrators Induction of ABUAD Law graduates. Topic: "Deconstructing the Nigerian Problem as a Cohesion and Transformation"